Tucked away in small and large bays in front of rocky cliffs, sometimes snow-white, miles long and with Caribbean flair : the beaches of Apulia stretch over 800 kilometers on the Adriatic and the Ionian Sea. Are you looking for an idyllic holiday destination for a beach vacation away from the famous tourist "race tracks"? Then let yourself be inspired for your next Italy holiday! 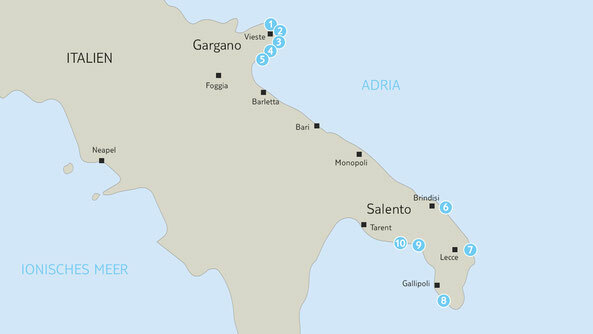 The Salento is located between the Adriatic and the Ionian Sea. This relatively large region, which forms the south of Apulia, exudes Mediterranean flair. In many places you can still experience authentic Italy far away from tourist strongholds and enjoy. The calcareous rocks on the beach of Torre dell'Orso shine in the glistening sunlight. The beach with its clear and emerald-colored water is lined with dunes and pine forests. Climbing lovers will find two limestone cliffs in the sea - the "Due Sorelle": climbing up and jumping down is the motto ! 3 km long fine, white sand beach between Torre Dell'Orso and Otranto, framed by white dunes. The pine forest behind the dunes invites you to a picnic and offers great sun protection. Not far from Gallipoli and Santa Maria di Leuca, the seaside resort of Torre Pali enchants with a dreamlike stretch of coastline: fine white sand and gently sloping emerald-green waters have given this picturesque little town of Apulia the nickname "Maldives of Salento". 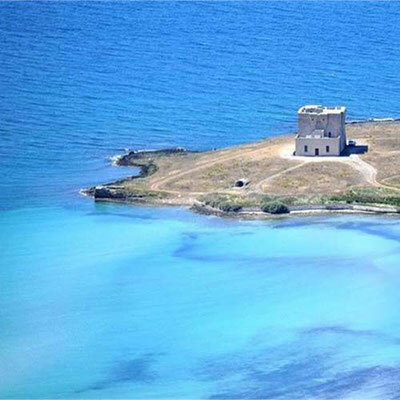 The two coastal towers of Torre Lapillo and Torre Chianca frame the beach near the seaside village of Torre Lapillo. The white, very fine sand and the crystal clear waters make it one of the most beautiful beaches in Salento. Close to the coast, nature lovers can still admire the typical sand dunes with their charming juniper bushes. Caribbean flair also occurs on the white sandy beach of Punta Prosciutto. Shallow, crystal-clear water in front of white, soft powdered sand make this Puglia beach popular with families with smaller children. A great beach for snorkeling, splashing and soul. The naturist beach of Torre Guaceto, near Brindisi, is located in a WWF nature reserve preserving wildlife and flora. 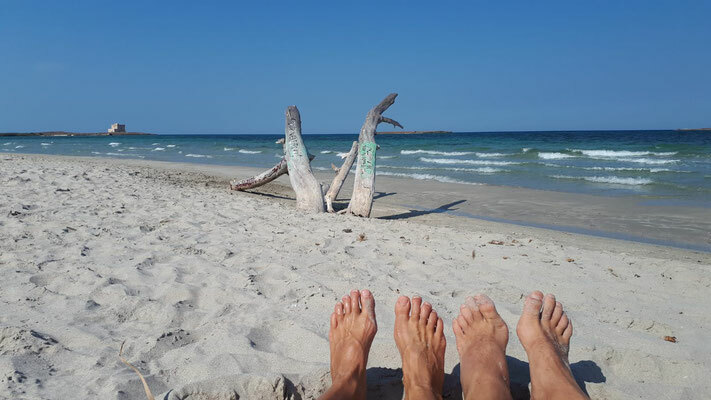 The naturist beach Torre Guaceto : a charming destination! 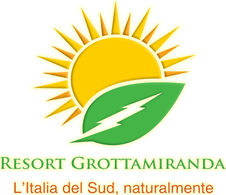 Torre Guaceto Beach is 7 km from Resort Naturista Grottamiranda : naturist holiday resort. Torre Guaceto beach is known for its incredibly crystal clear, calm and gently sloping sea. The contact with fresh water, sunbeams and this enchanting landscape will offer you much relaxation and pleasure! On the naturist beach in the reserve there are also some natural habitats under the trees. You can walk the beach, do yoga or simply enjoy the beautiful scenery. A panoramic path with sea views leads from the main road through a shady pine forest to the beach of Vignanotica. Alternatively, you can also drive to the paid beach parking lot by car. No matter which "arrival" you choose, you will be rewarded with a picturesque pebble beach in front of a beautiful white rock backdrop. The beach in the bay near Mattinata is affectionately known as "the white butterfly of Gargano": on a hill covered with olive groves and almond trees, the beach of gravel and light, small stones known for its crystal clear waters near the picturesque village of Mattinata rests like a white butterfly on a blossom. White cliffs, cliffs and caves are characteristic of this stretch of coast in the Gulf of Manfredonia. 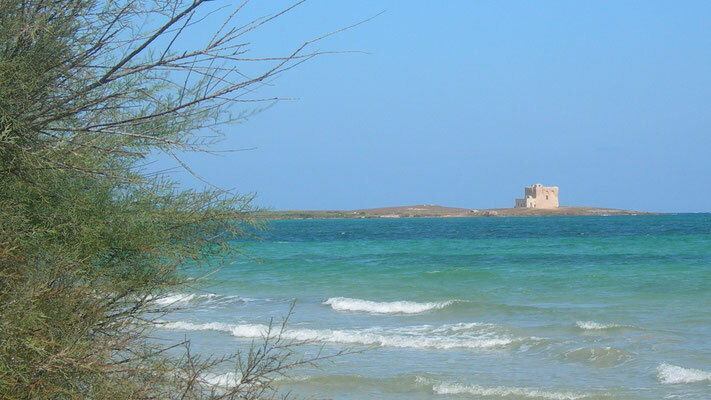 To discover the beaches of Apulia means to succumb to the charm of different landscapes in an authentic nature.